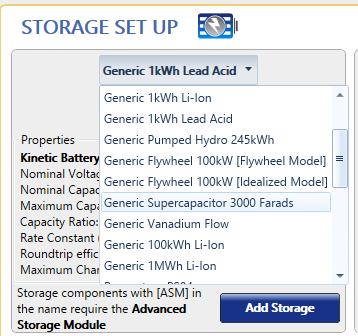 The Advanced Storage module unlocks the Modified Kinetic Battery Model (MKBM) in HOMER. 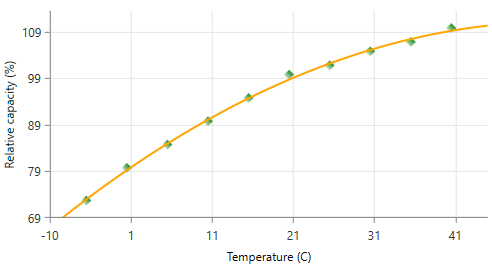 The MKBM includes rate-dependent losses, changes in capacity with temperature, variable depth-of-discharge for cycle life, and increased degradation rate at higher temperatures. 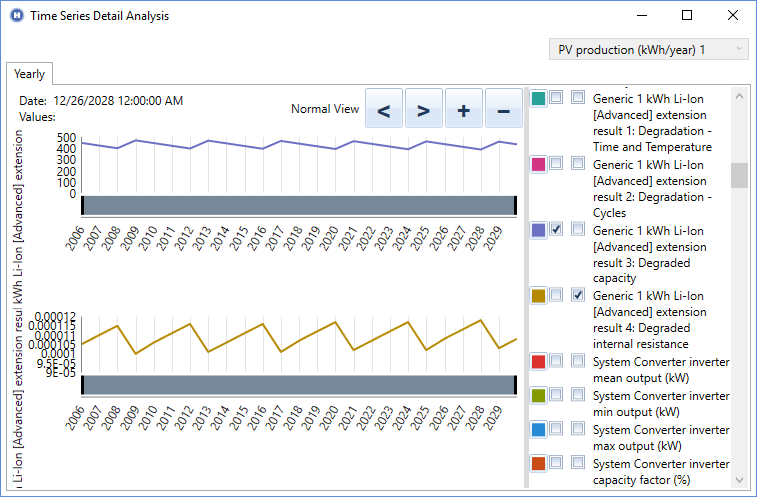 With the Advanced Storage module, you can create new batteries that use the MKBM, add them to your HOMER models, and calculate results for HOMER models that include a battery with this feature. To access the Advanced Storage options, click Storage under the Components tab at the top of the page. The Storage Setup page is shown below with MKBM options circled. For more information on the MKBM Storage option, see the Modified Kinetic Battery section of the help. The MKBM is designed for practicality. Although the inner workings of the model are somewhat complicated, the parameters needed to design a battery with the MKBM are relatively simple. Some battery datasheets include all the necessary information. The MKBM adds a series resistance to the battery model, which improves model accuracy. For some batteries, in some conditions, this can better represent the true behavior. The MKBM also includes variation in capacity with temperature. For example, many batteries show a decrease in available capacity at cold temperatures. The Advanced Storage module becomes more powerful when combined with the Multi-Year module. When HOMER is run in Multi-Year mode, the MKBM Results include performance degradation over the battery lifetime. 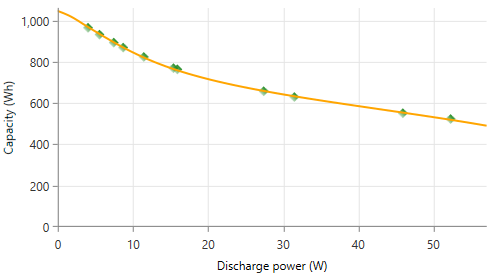 This degradation calculation tracks temperature, time, and partial depth of discharge cycles over the course of the simulations.